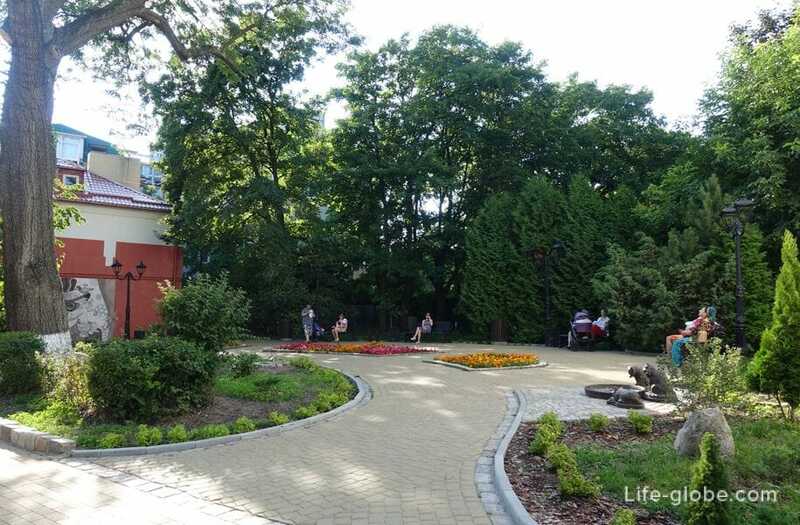 From the Eastern edge of the city originates from the Kurshskaya Kosa national Park, towns of which are of Zelenograd district. 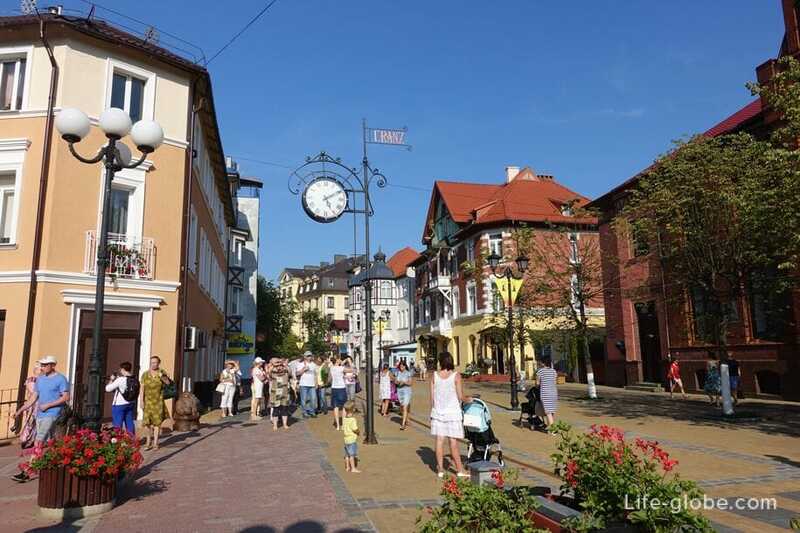 1252 years - founded the city of Krantz / Cranz (now Zelenogradsk). 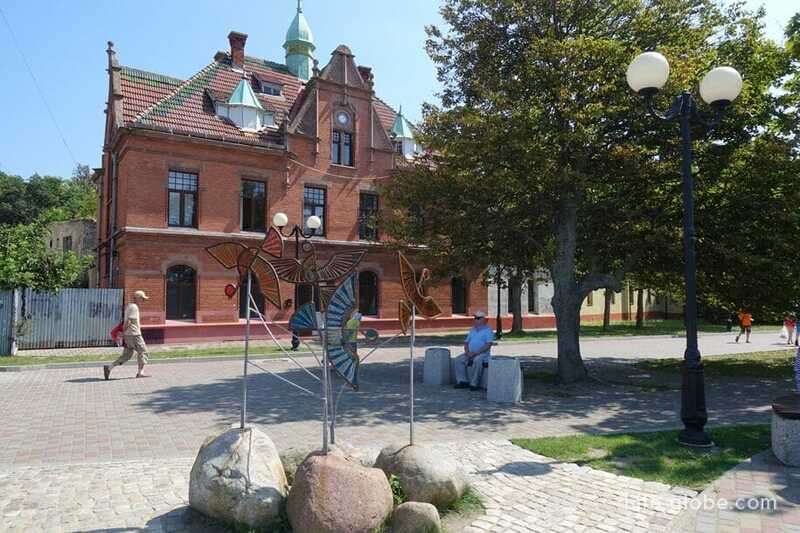 1807 years - through the city Krants on the way from Königsberg (now Kaliningrad) in Memel (now Klaipeda, Lithuania), passed by the Prussian Queen Louise. 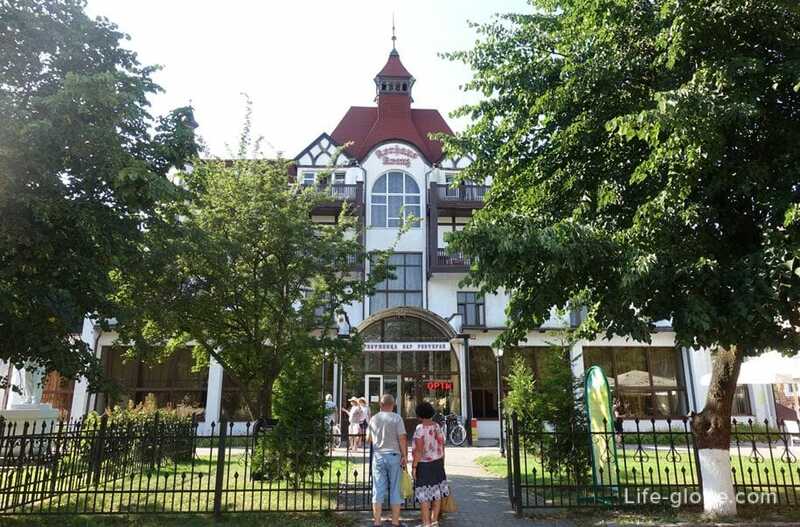 1816 years - on the initiative of Professor F. Kessel (1765-1844) in Krantz founded the resort. 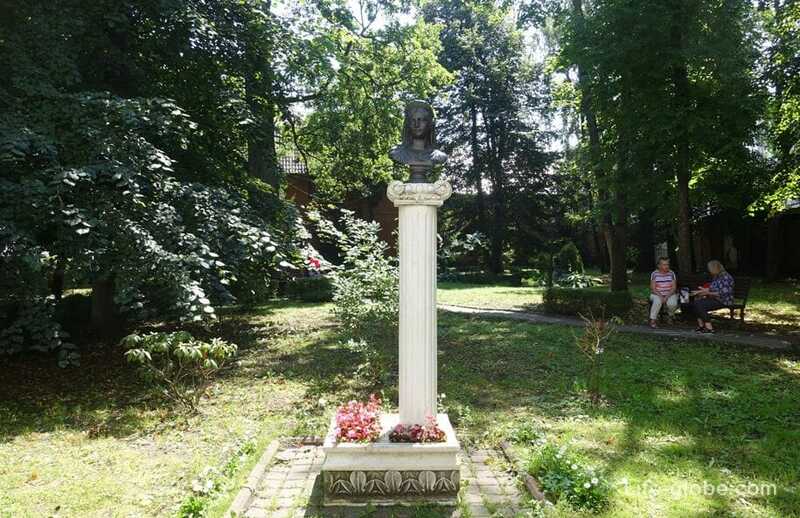 1901 years - Krantz rested by the famous Russian reformer P.A. Stolypin with his wife and children. 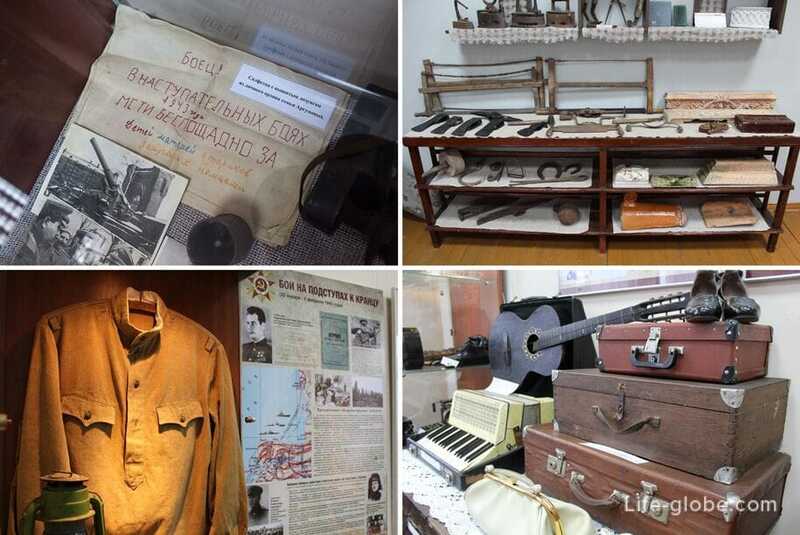 1945 years (February 4) - in Krantz Soviet troops entered. 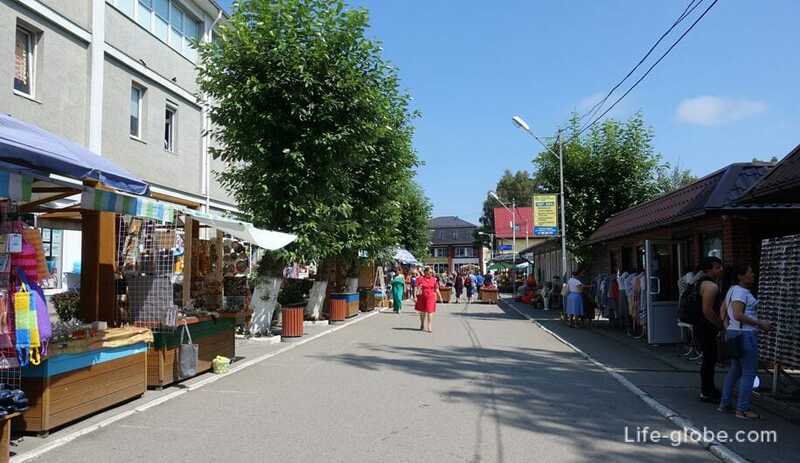 1947 years (17th of June) - established the town of Zelenogradsk, which on 25 June was a district center and is such to this day. 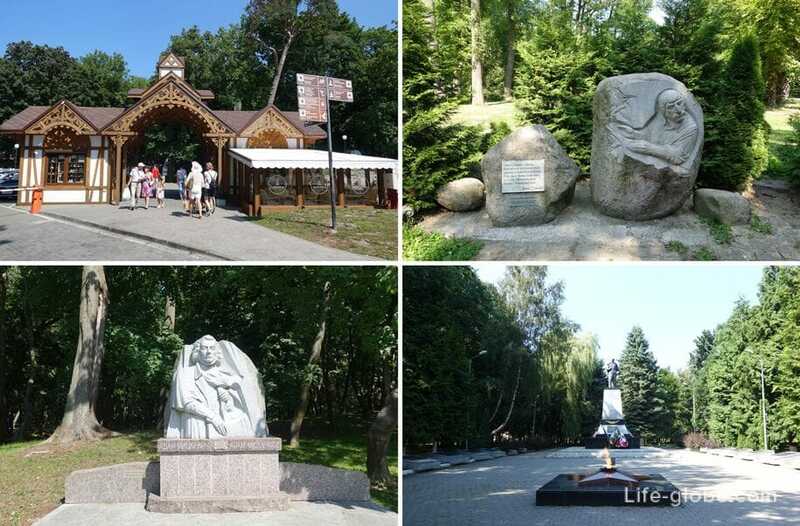 1971 years - Zelenogradsk received the status of city-resort of national importance. 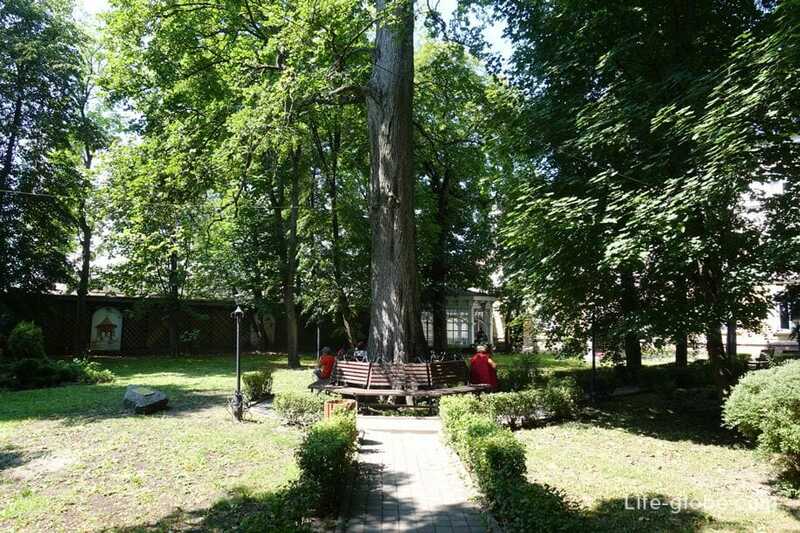 2000 years - Zelenogradsk declared a resort of Federal significance. 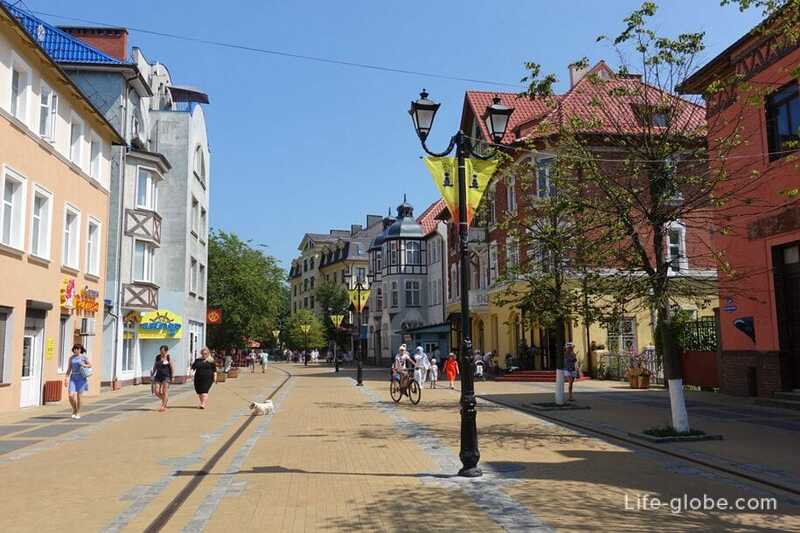 2018 years - in Kaliningrad there was a game of the world Cup, in anticipation of which Zelenogradsk has undergone significant improvements were extended and the beautiful beach and promenade, the reconstruction of some historical buildings and overall appearance of the city became more vivid and well maintained. 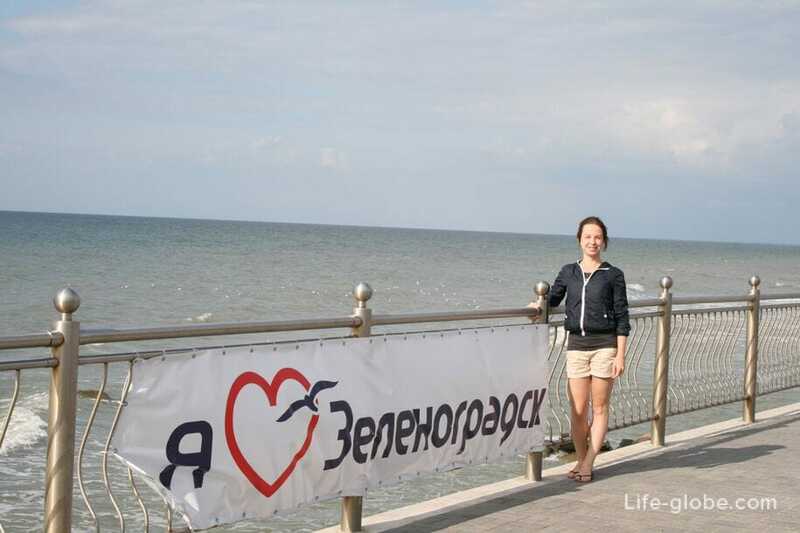 The beaches of Zelenogradsk last practically a single strip along the entire coast of the city. 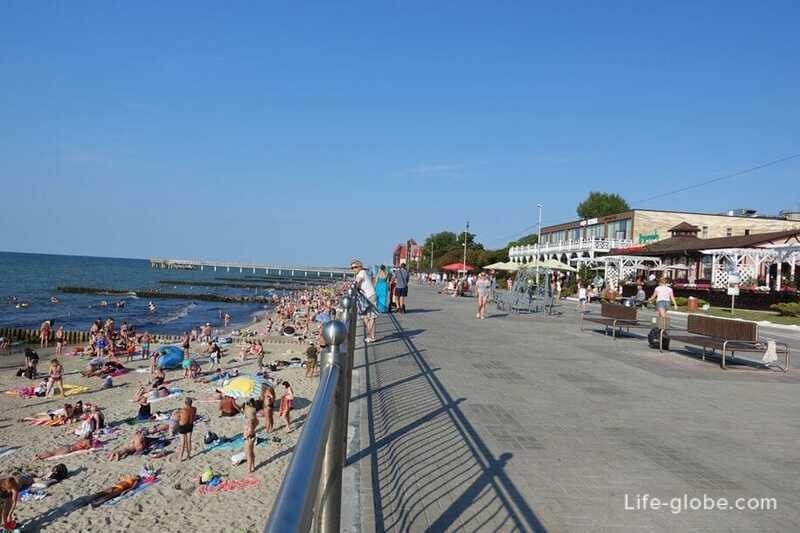 The average temperature of the sea water + 17 - +19 degrees, but in hot years, it happens, warms better. 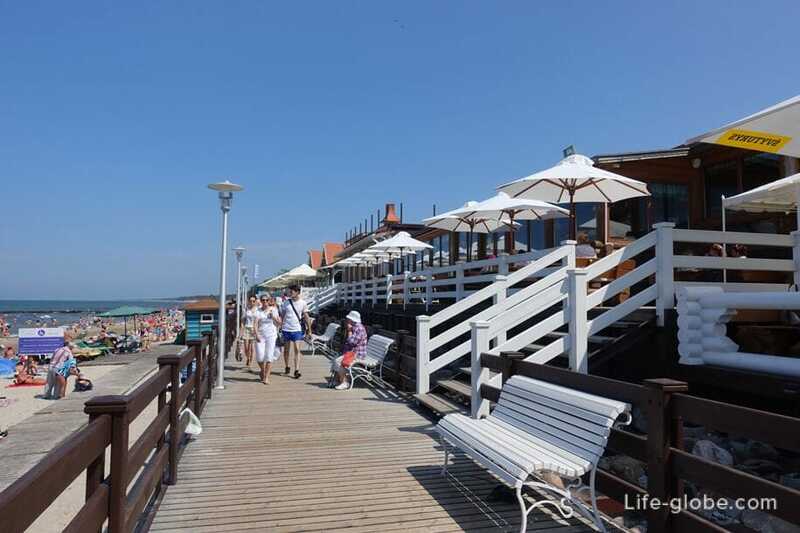 - promenade (embankment of Zelenogradsk), which runs along the coast of Zelenogradsk. 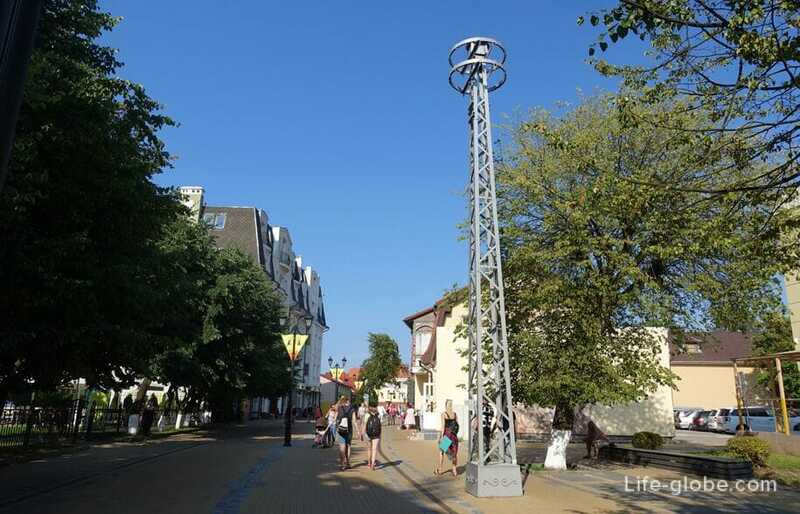 On the boardwalk there are various sculptures like the sculpture "Mermaid" sculpture "Cat on the waterfront," and the most famous sculpture Zelenograd promenade "Baltic Grey seal" installed in 2013. 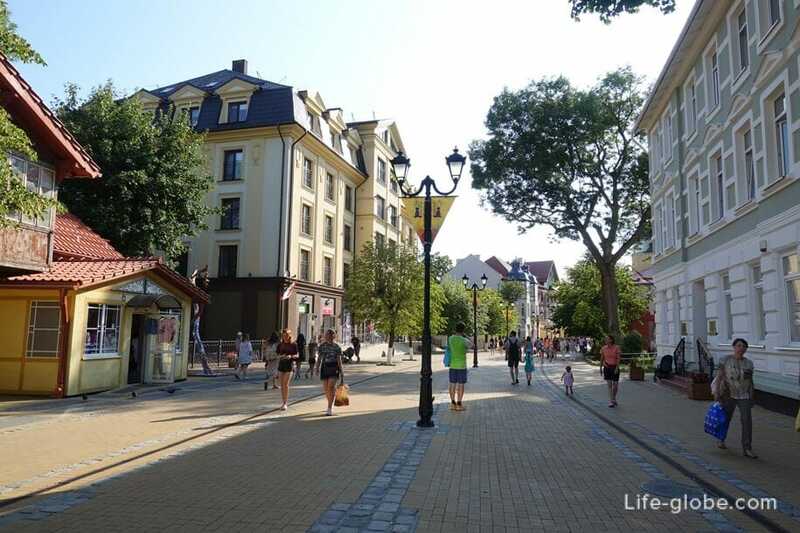 - The Kurortny prospect - the Central pedestrian street of Zelenogradsk, located in the historical part of the city, 200 metres from the coast. This is one of the most comfortable streets. 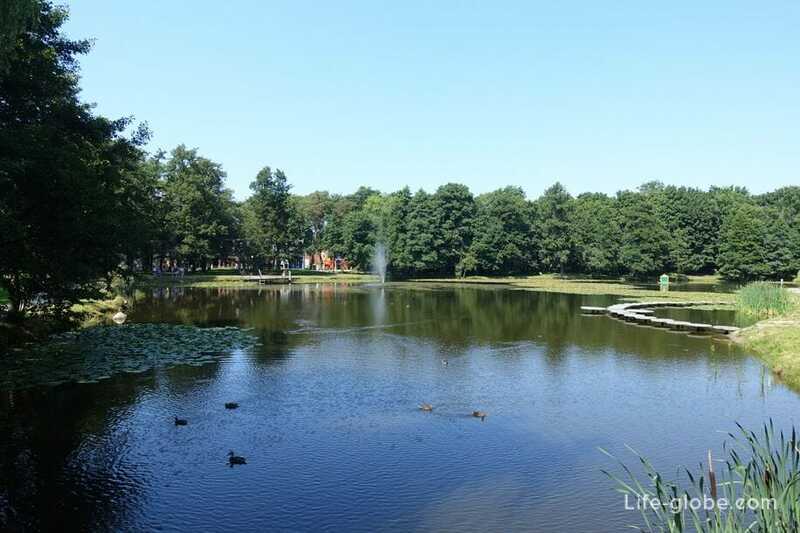 The city Park of Zelenogradsk (formerly Park Plantage) is a green oasis, which is a large City Park, with the city merging with the extensive pine forest (Curonian Spit). 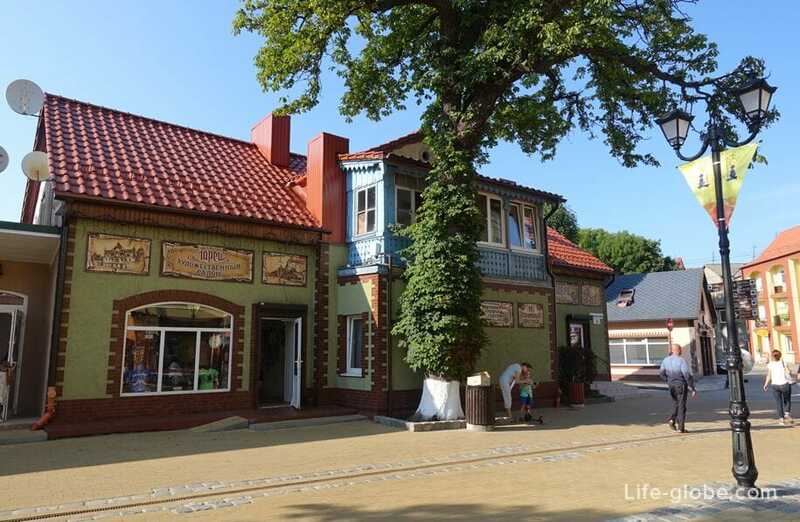 In 2010 in Zelenogradsk was opened in the Park of the Queen Louise, the most famous women of East Prussia. In the center of the square, the graceful pedestal is a bust of Queen Louise. In the centre of the Park - big tree - elm. Urban legend has it that during a visit Kranz (1843) king of Prussia Friedrich Wilhelm IV was put in the Park a tree in honor of his mother Queen Louise. 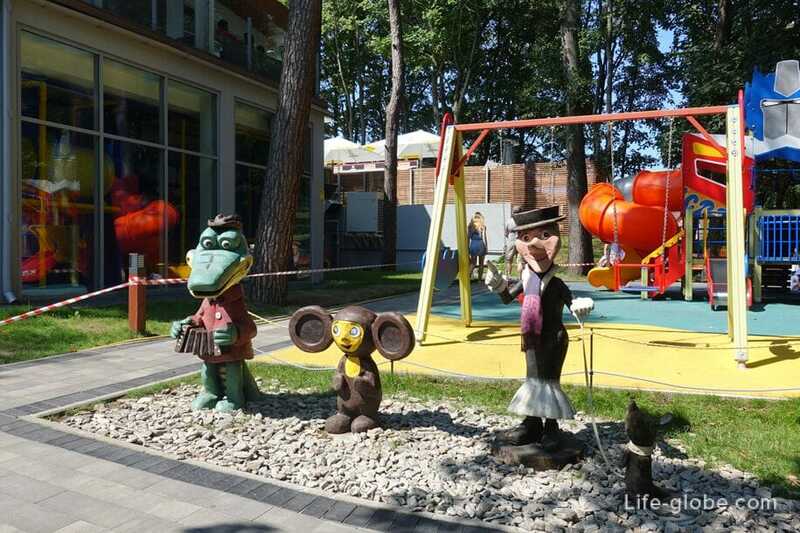 A small Park located at the Kurortny prospect is also a popular place to stay among visitors and residents. 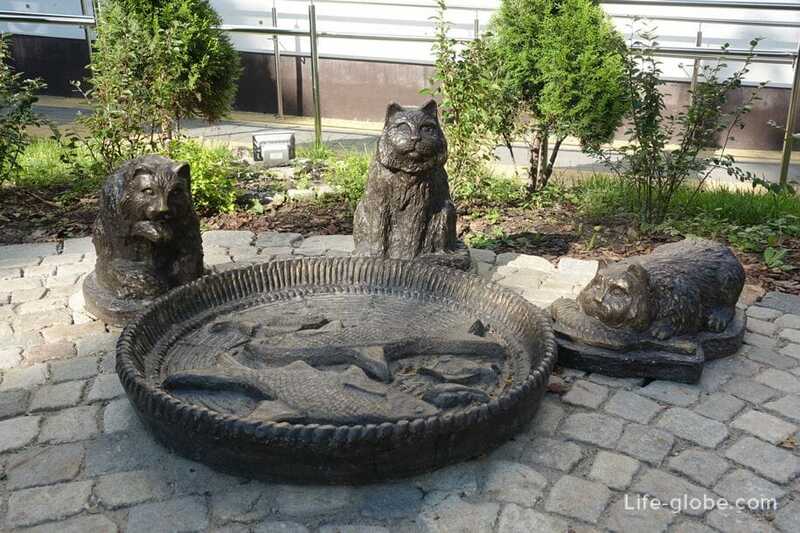 In the Park: places to stay in the shade of trees and a sculpture dedicated to Zelenograd cats. 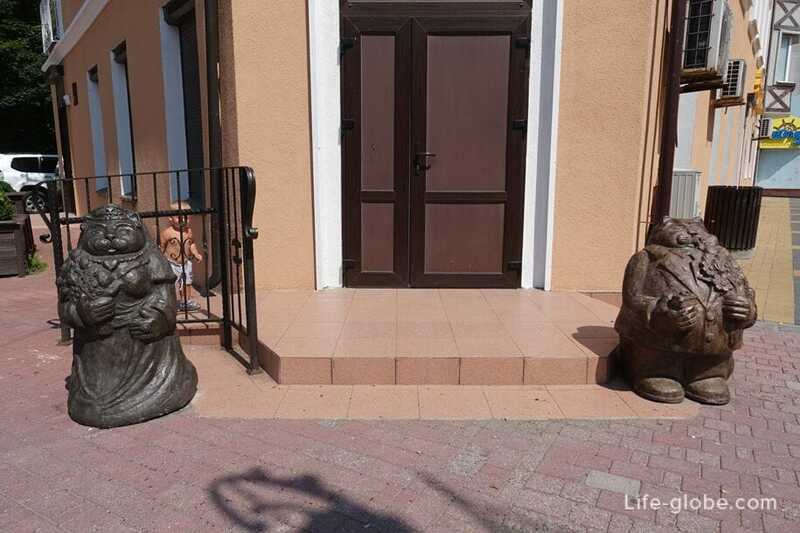 Cats in Zelenogradsk have become a cult, well, or the brand, so many of the residents of the Kaliningrad region Zelenogradsk associated with cats. 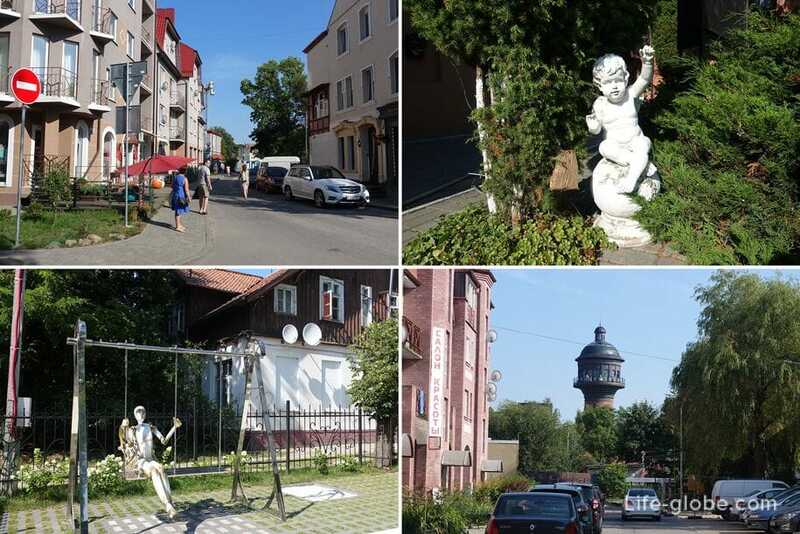 In Zelenogradsk you can see a lot of sculptures and monuments dedicated to the cat, graffiti on the walls with the image of the cat, there is even a cat Museum "Murarium", located in the Water Tower Krantz. 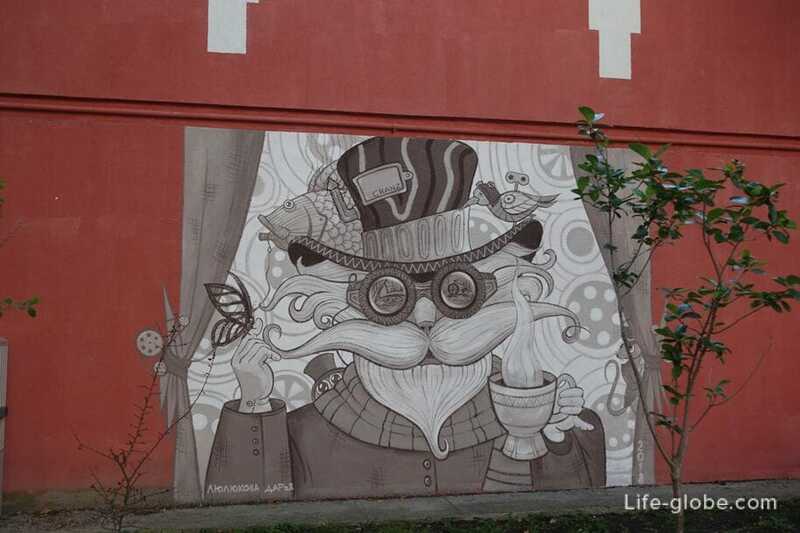 And these mustachioed fuzzies on the streets of Zelenogradsk many)). 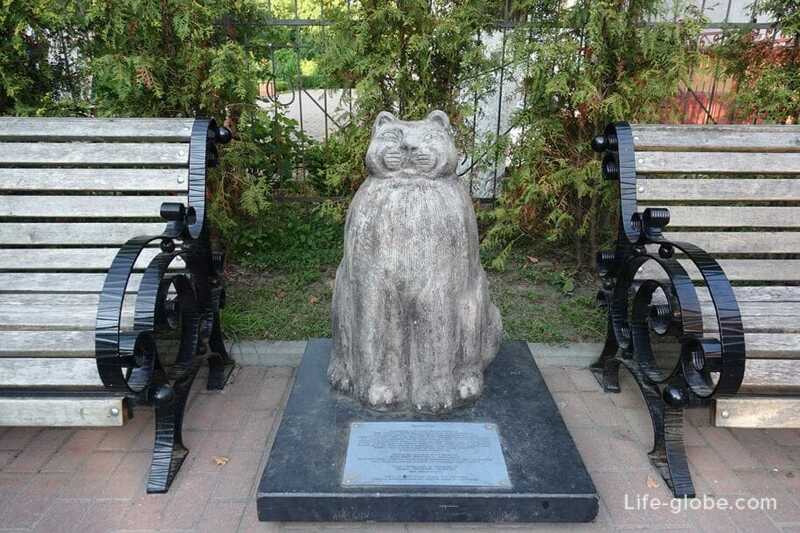 The "leader" of the cat world sculpture Zelenogradsk stands the sculpture "the Prussian cat" located near the Zelenograd regional Museum. 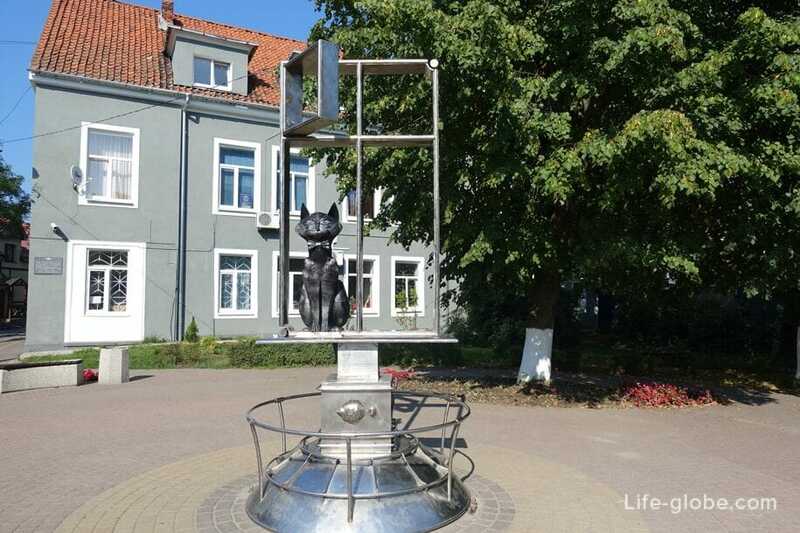 The image of Tolstoy and proud Prussian Cat was born on the basis of legends and tales of the region and was "visualized" the Kaliningrad sculptor Ludmila Bogatova in 2005 to celebrate the 750th anniversary of Koenigsberg-Kaliningrad. 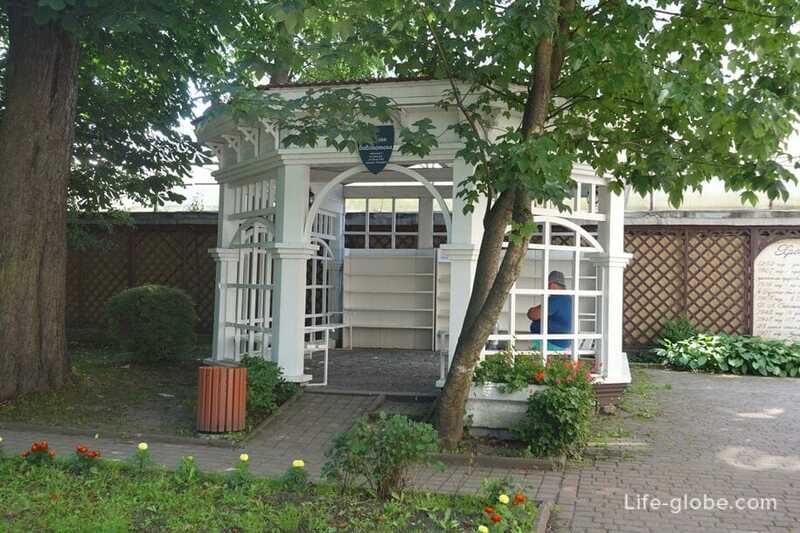 Well-room "Queen Louise" - the pump room with artesian mineral water. Mineral water is extracted from depths of 240 metres from the reservoir, formed 160 million years ago. Well-room public, water free. The pump room is located on the boardwalk, in the middle of it. 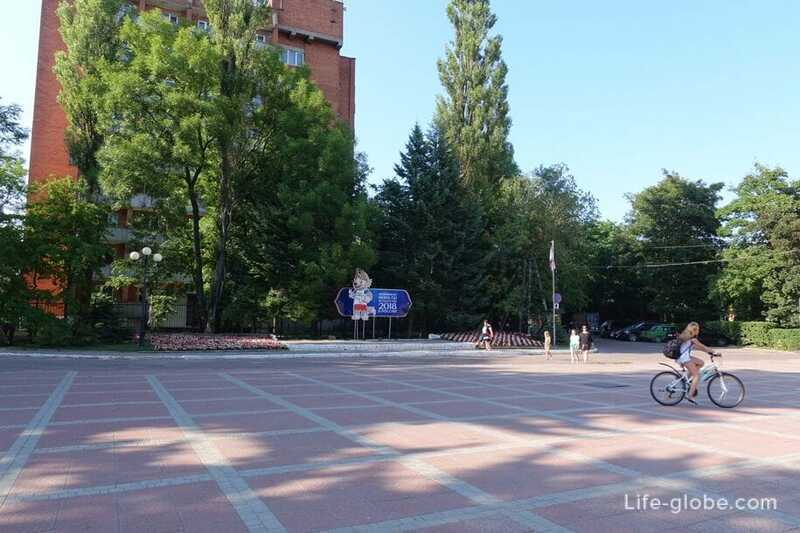 The Central square of Zelenogradsk, where they spend holidays, concerts and other public events, located near the railway station, just at the place where the Kurortny prospect and Lenina street. 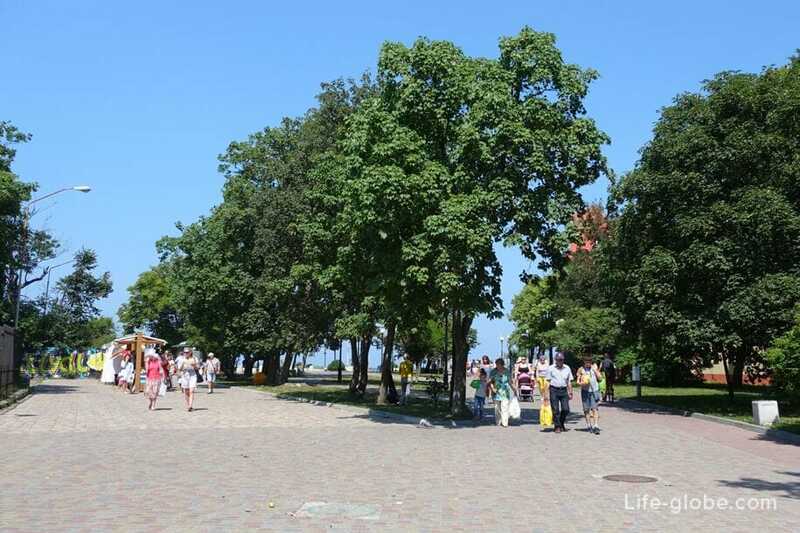 From the area dates back to the so-called "Alley of Friendship of Zelenogradsk-Pinneberg", leading to the promenade and the sea. 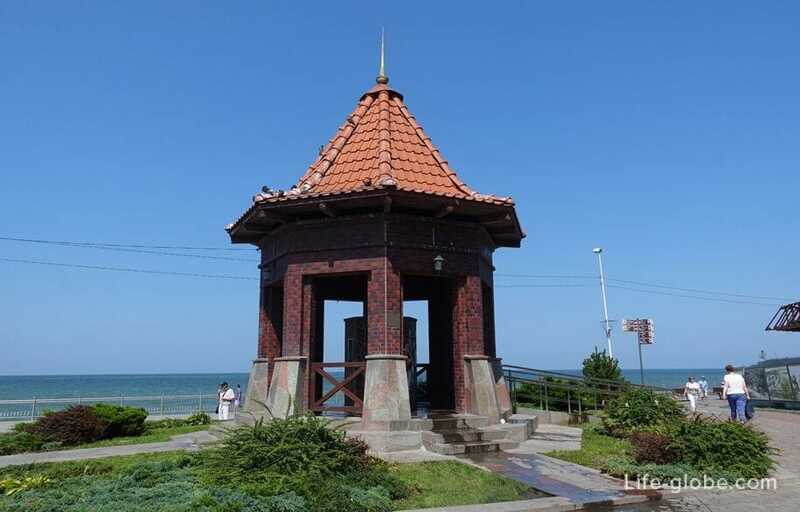 Lookout Zelenogradsk located in the Water tower, at a height of 24 metres (in the area of the former tank). The observation deck is an open, circular platform with a 360-degree view. 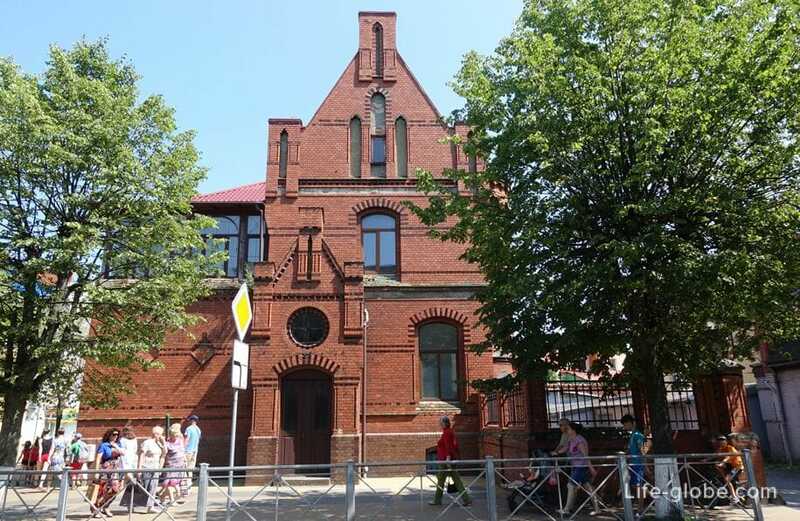 The building of the former administration Krantz - the burgomaster's office, was built in the early 20th century art Nouveau building, and currently is a unique object of cultural heritage. Post office - solid red-brick Telegraph building, built in the early 20th century in neo-Gothic style. Since that time, a kind of post office has not changed, only in the center once adorned the East Prussian coat of arms - a black eagle. 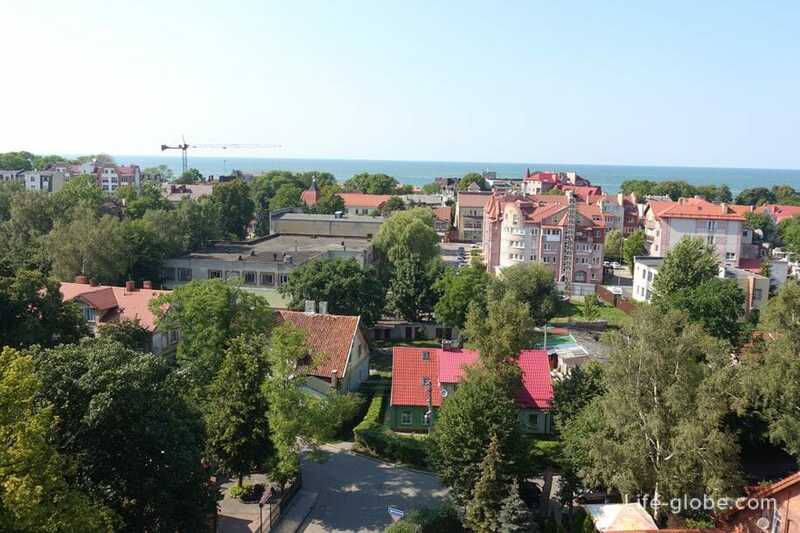 Water tower Krantz is a symbol and dominant feature of the city and occupies a special place among the architectural monuments of Zelenogradsk. 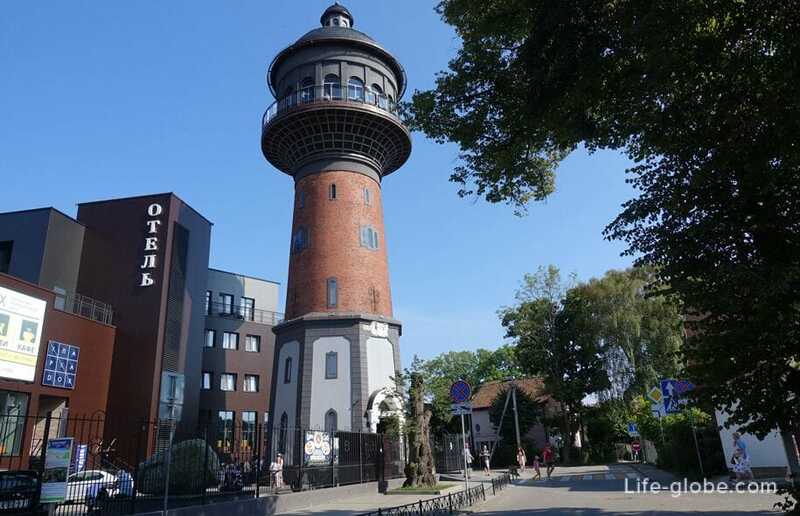 The water tower is built in the architectural style of historical eclecticism, has a height of almost 40 meters, features a unique dome is the second tallest architectural object of the city. It was in this tower is an observation deck and a Museum of cats "Murarium". 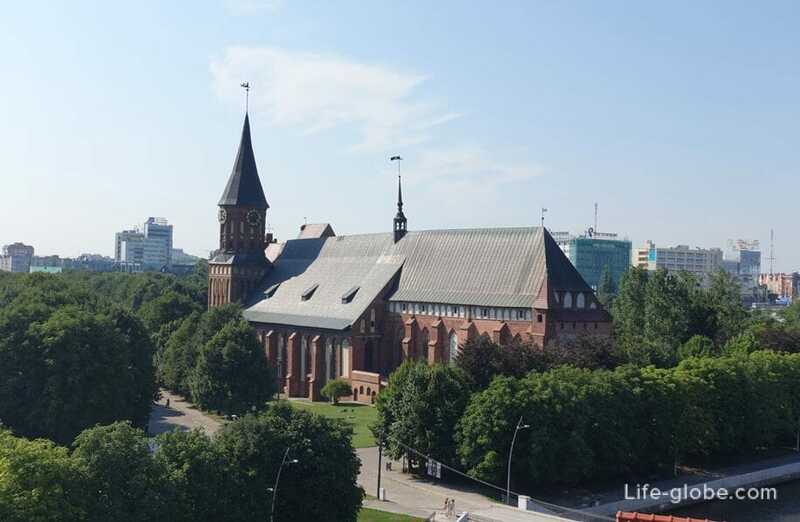 Church of St. Adalbert, later the Church of the Transfiguration is made of red bricks with a Gothic tower with a height of 42 meters. 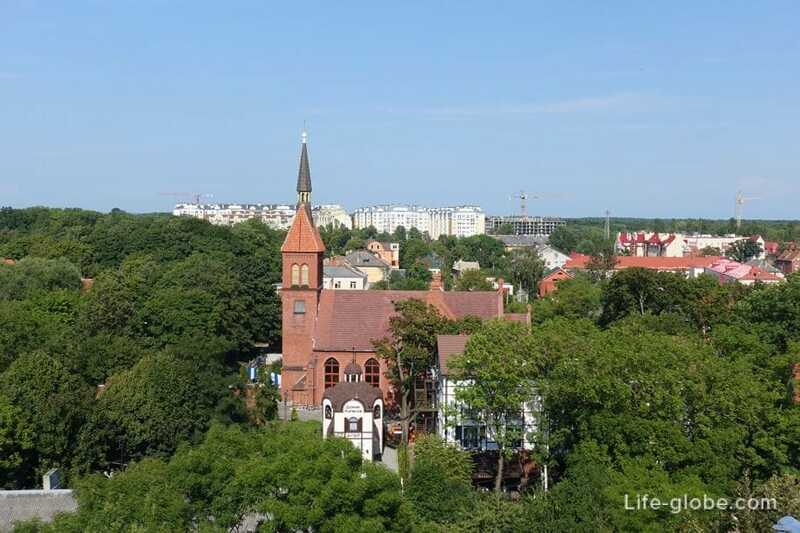 5 November 1897, the Church was consecrated as a Lutheran Church Adalbert. After the Second world war the building lost its religious purpose, - it housed the city gym. 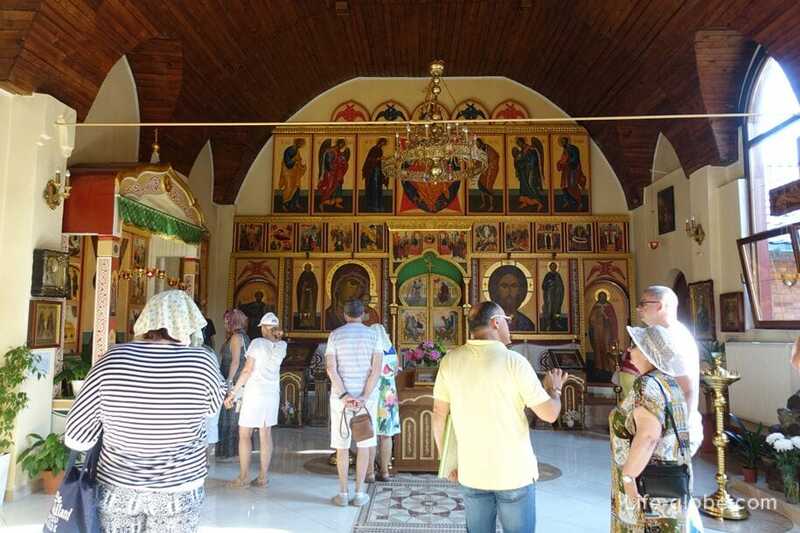 In 1994 the building was transferred to the Russian Orthodox Church. 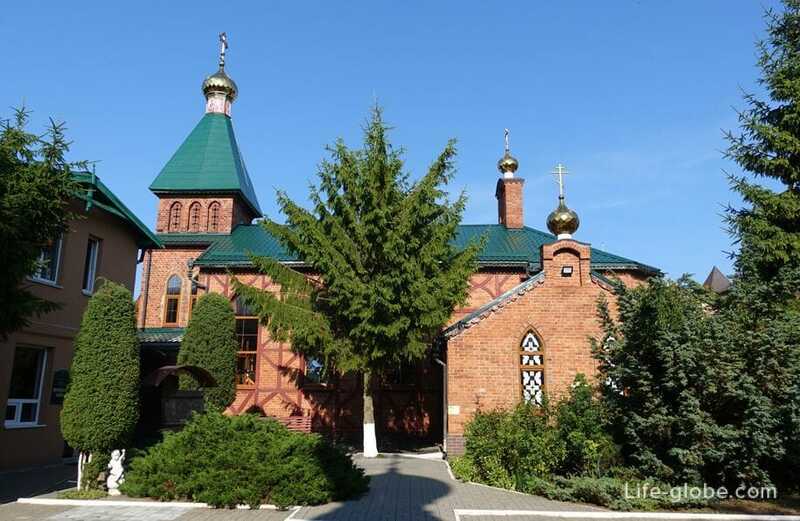 The Church was consecrated in 2007 by Metropolitan of Smolensk and Kaliningrad Kirill. Chapel of St. Andrew (now the Church of St. Andrew the Primordial) was built in neo-Gothic style in 1903-1904. 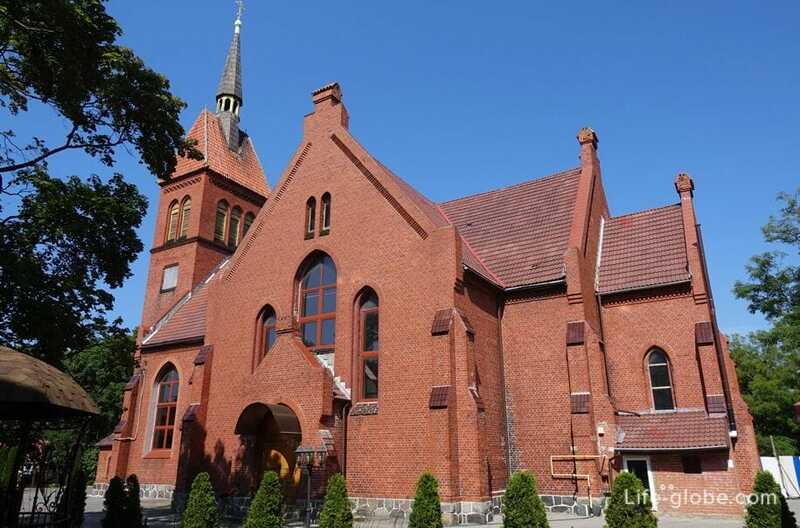 The building was consecrated as a Catholic chapel of SV. Andrew. 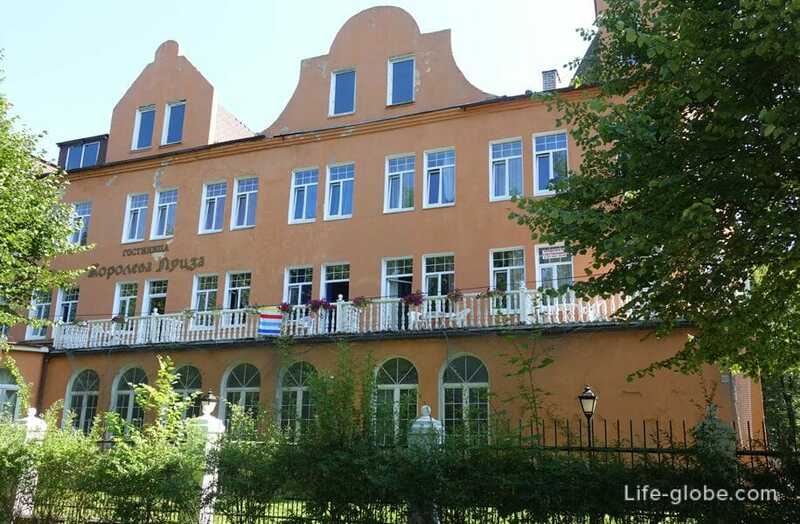 Later, the chapel acquired the hospital of St. Elizabeth located in the city of Konigsberg and equipped in her holiday home for children. 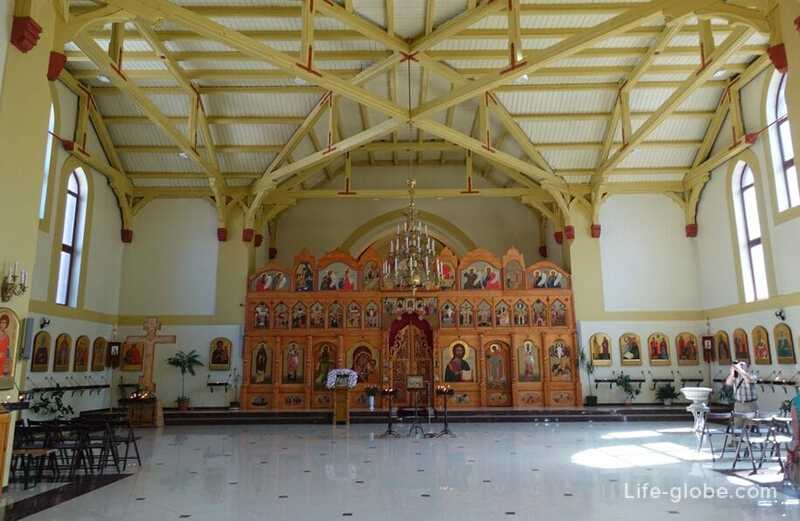 In Church is part of the Holy relics of the Apostle Andrew Primordial particle of the bone of the big toe of the left foot. Villa Kröll is a monument of architecture of the early 20th century. Its name is derived from the name of the owner - Maksa Krellya, notary and lawyer. 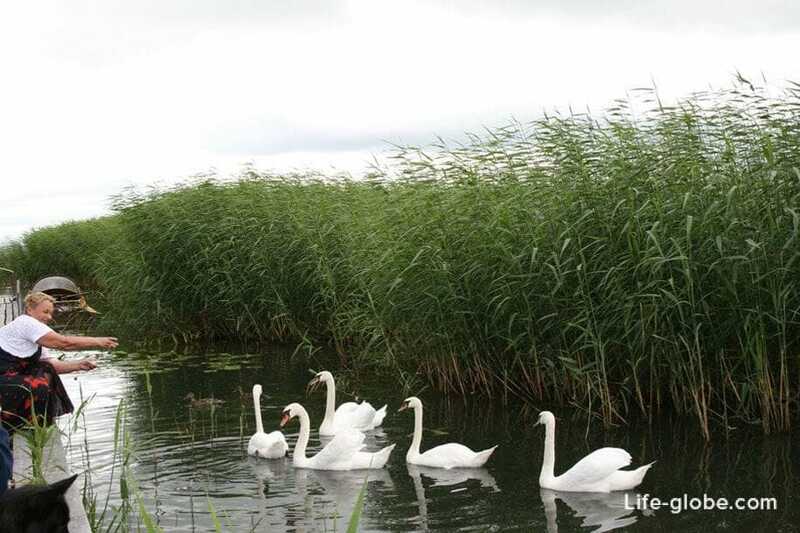 Moving away from business, Kröll with his family moved to Cranz. 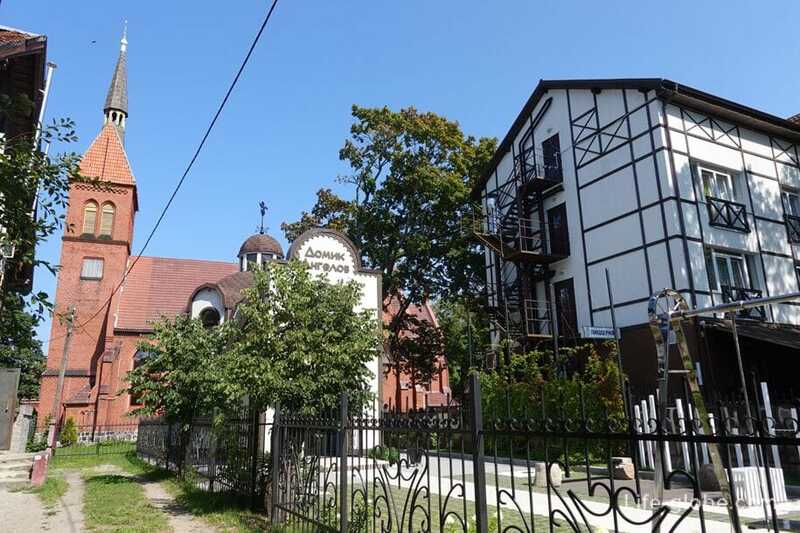 The Villa was built on an individual project, it combines elements of Gothic and Russian style architecture. Busta house is a former apartment house of Fridrih Basta, built in the early 20th century in art Nouveau style. 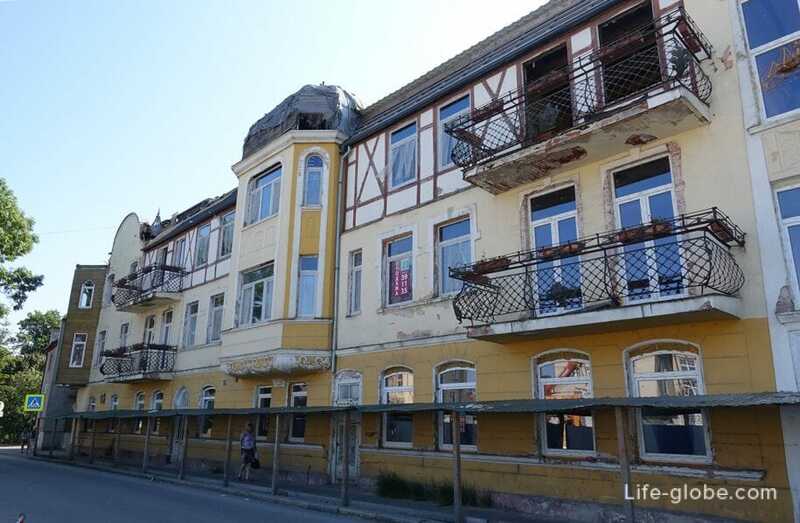 Previously, the building functioned as an apartment house - furnished rooms were rented to travelers, like hotel rooms. 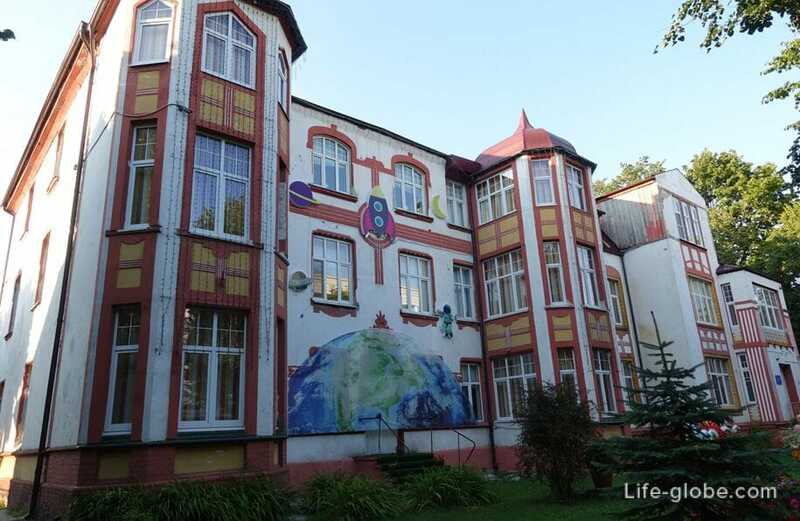 Currently, the building houses a kindergarten. Date of construction of the building, under the title "the Big hotel and New Kurhaus" - 1843. Then the Kurhaus accommodates dining room, billiard, concert halls, theaters and dance halls, as well as 23 rooms. 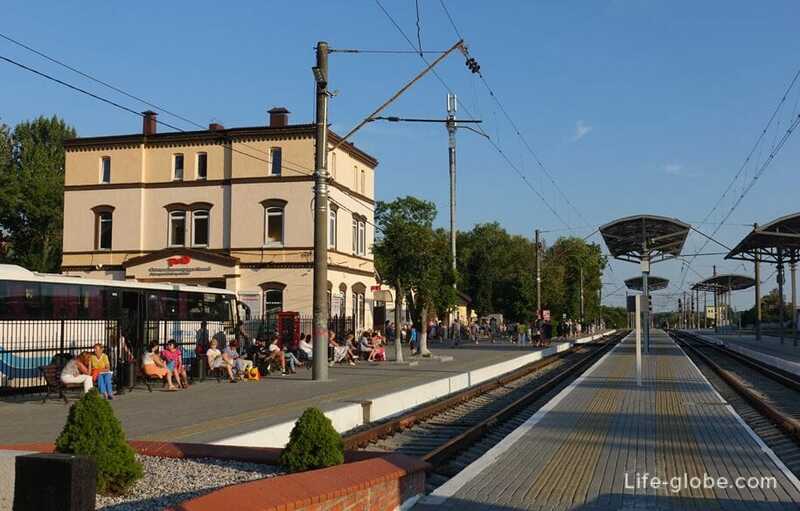 The building was built in 1885, and when the ceremonial opening of the railway line connecting Konigsberg and Cranz. 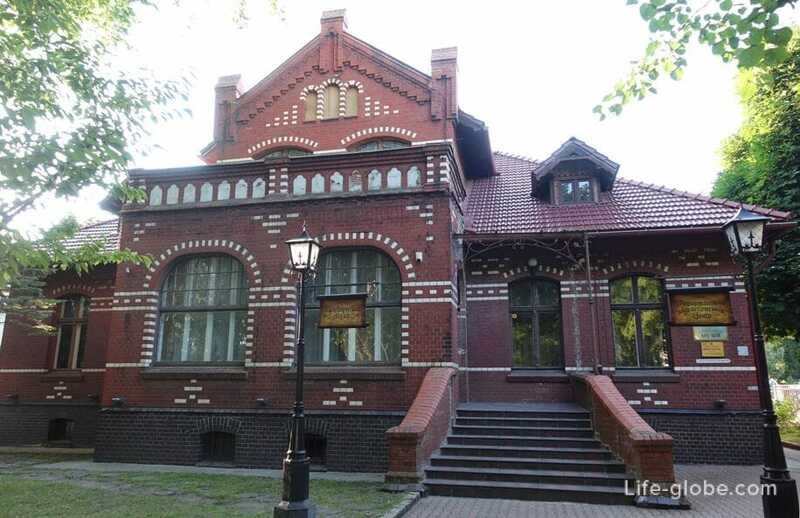 The Museum is located in a historic building, the former Villa Kröll, Lenina street 6, Zelenogradsk. 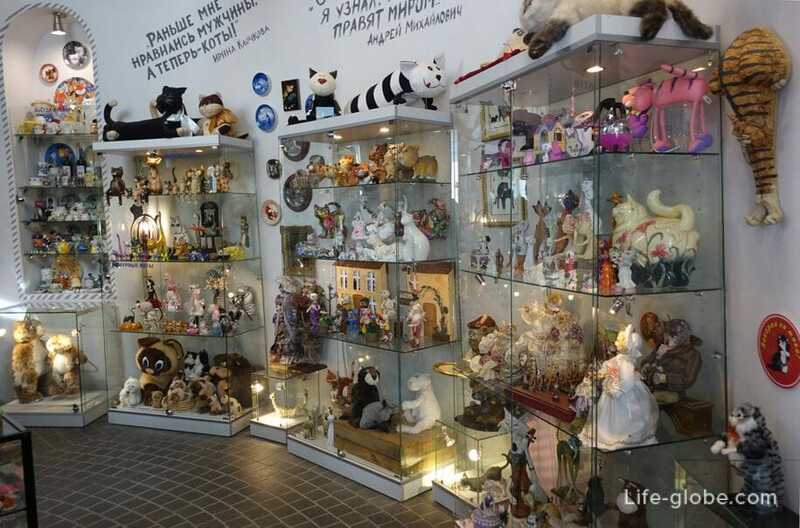 The cat Museum is located on three floors of the Water tower below the observation deck, at the address: Saratovskaya str., 2A, Zelenogradsk. 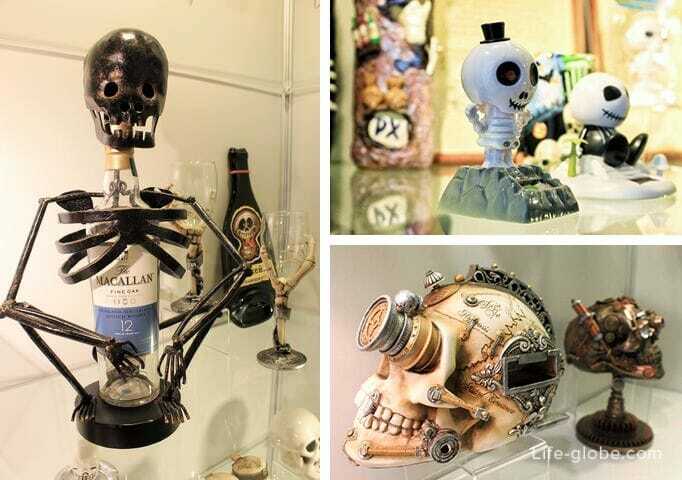 Museum of Skulls and Skeletons is located in the building adjacent to the Water tower, at the following address: Saratovskaya str., 2A, a hotel and entertainment center "ПАРАDOX", 2nd floor, Zelenogradsk. Museum "House of Angels" - private art collection, which includes more than 1,000 different exhibits dedicated to the angels. 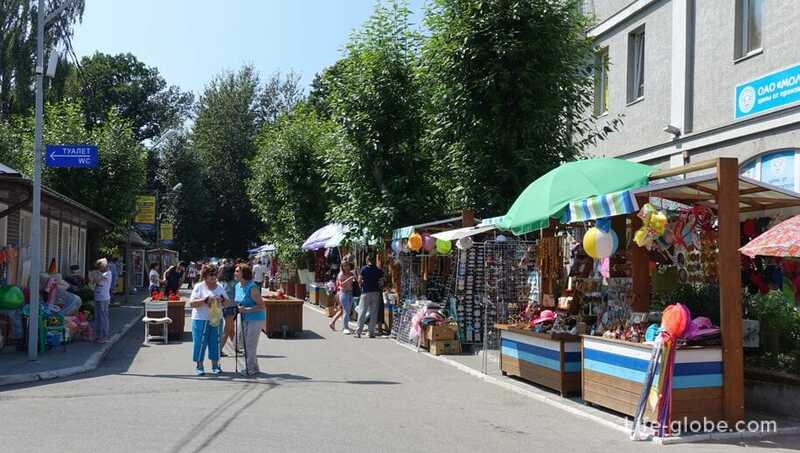 The market is located near railway station of Zelenogradsk, at the address: str. Tkachenko, 3, Zelenogradsk. 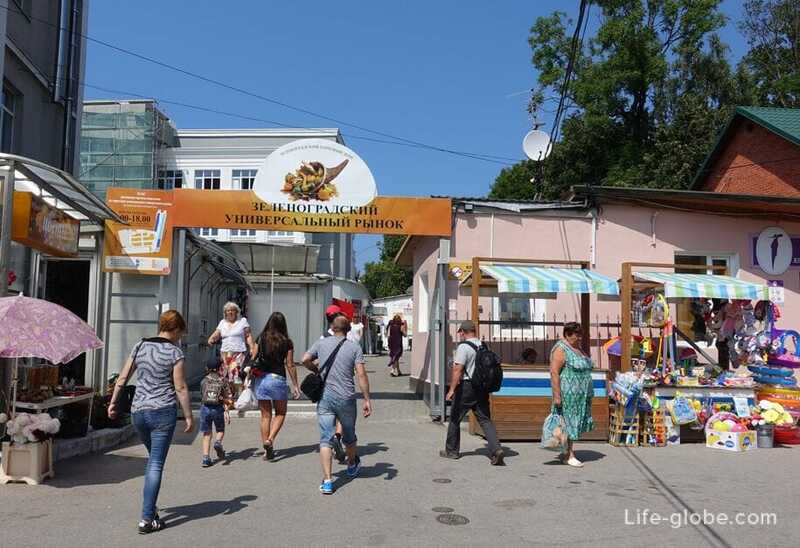 In the market and near the market (on the street Tkachenko): clothing, souvenirs, food and other goods is inherent in any urban market. 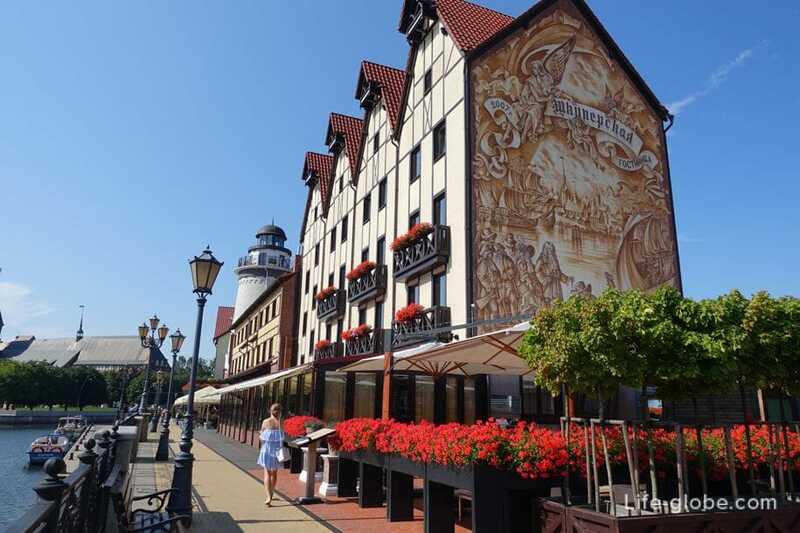 Kaliningrad is the administrative center of the Kaliningrad region and the most Western regional center of the country. 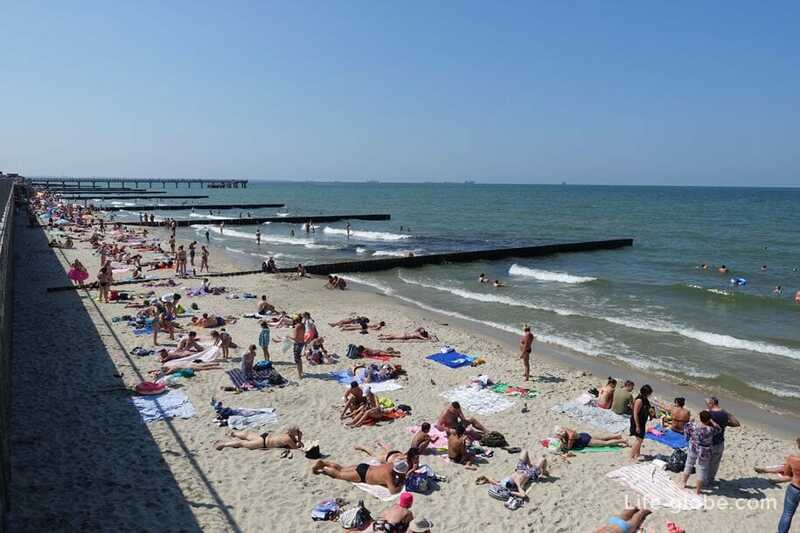 To get from Zelenogradsk in Kaliningrad on taxi, public buses or trains. 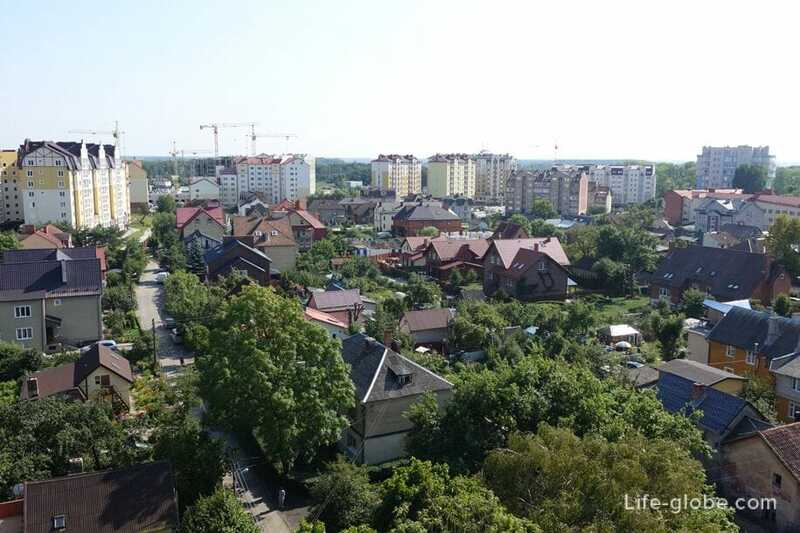 Svetlogorsk - the largest and most developed resort town in Kaliningrad region. 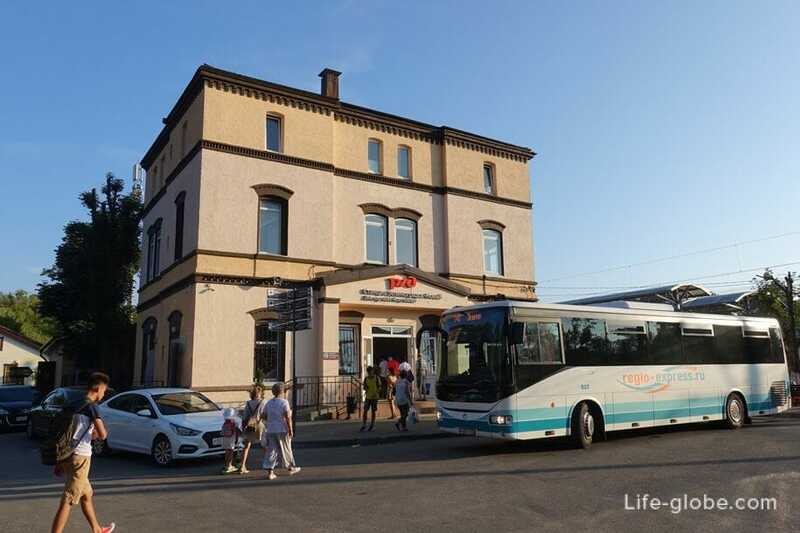 To get from Zelenogradsk to Svetlogorsk by taxi, public buses or trains. 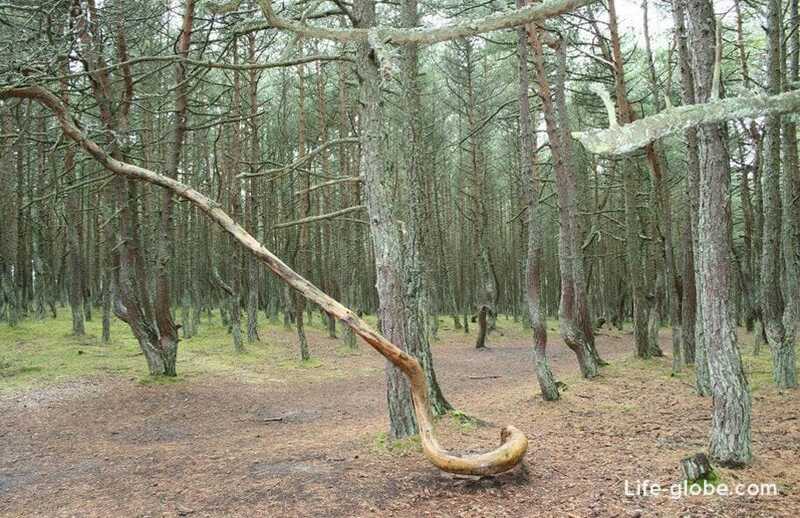 The Curonian spit is a national Park with unique natural complexes: the sand dunes, dancing forest, Royal forest, lake "the Swan" etc. 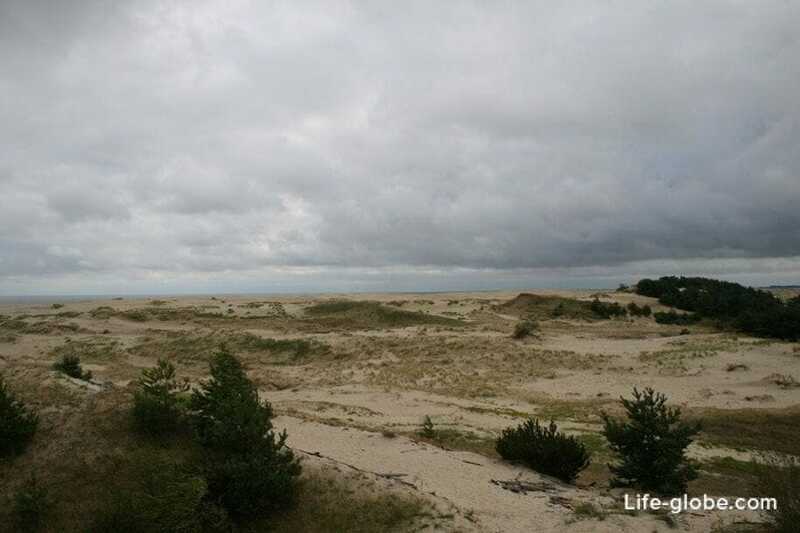 In 2000 the Curonian spit was included in the world heritage list of UNESCO. 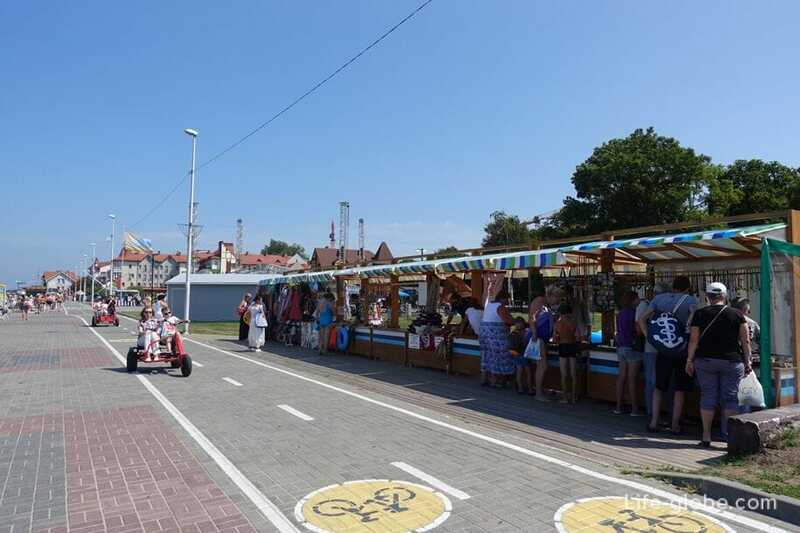 To visit the Curonian spit can be one of the excursions, and independently, in a taxi or getting the bus to one of the villages: Lesnoi, Ribachii, Morskoe. 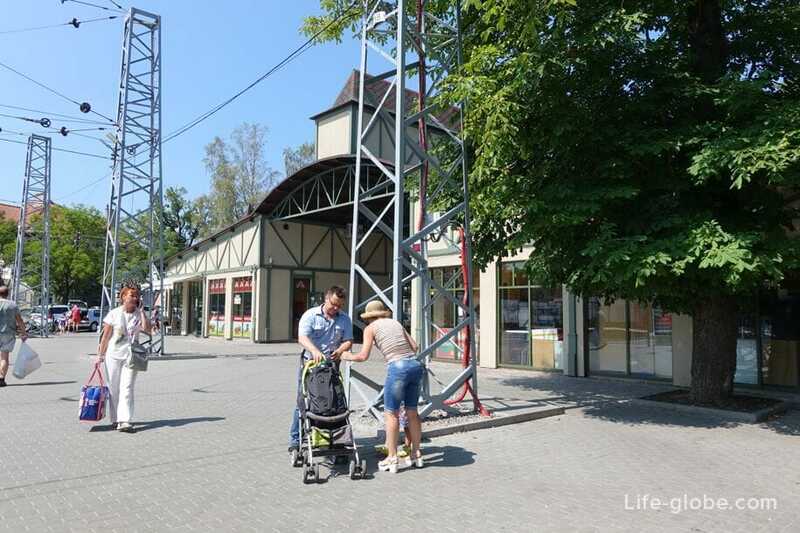 The train will take you to the Train station Krantz in Zelenogradsk, located at the address: Vokzalnaya, 3, in 300 metres from the historic centre of Zelenogradsk and 450-600 metres from the main beaches of Zelenogradsk.